Why is Process Explorer reporting activity in non-existent dedicated GPU memory? I've been playing around with Process Explorer on a laptop of mine with Windows 7, 4 GB of RAM, and an onboard GPU(ATI Radeon 6480g as part of the A4 APU). 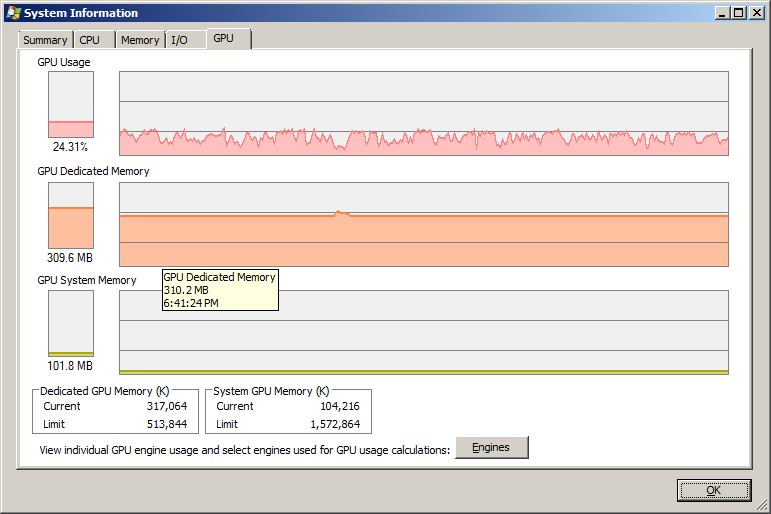 Oddly enough, Process Explorer reports 1.5GB of system GPU memory--all's fine here. Also included is 512 MB of "dedicated" memory that I'm not aware of the origin of--the card does not contain dedicated memory. I've seen a few oddities with this card such as Bitcoin miners seeing both the APU (which maxes out CPU usage) and a Winterpark device actually using OpenCL, and the fact that it's reported as dual GPUs to some legacy OpenCL applications. With that said, playing texture or shader heavy 3D games will, as expected, increase the usage of the dedicated memory--the GPU system memory remains nearly constant. The GPU should only be getting 512MB of shared memory, which is reported as 1.5GB on the GPU tab. I'm currently not having problems except for weird resource reporting in some applications, so I'm only asking so far on the basis of curiosity. 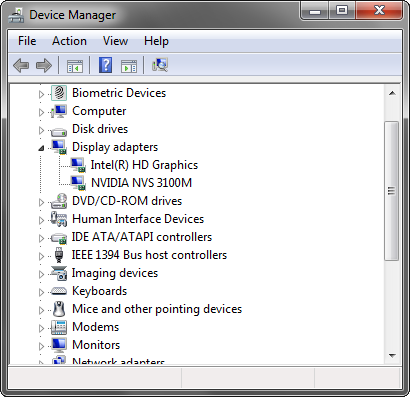 In Process Explorer, GPU Dedicated Memory represents the actual physical memory that is on the graphics card itself (memory chips are on the graphics card). I see that you have APU so I can't tell you exactly if there are specific memory chips for it or not since I haven't got the chance to get my hands on one. GPU System Memory is actually the part of your system memory (RAM) that is assigned to be available to the graphics card in order to increase its memory capacity. Windows Vista and newer often use this for storing the previews of application windows when they are not active. Also I believe Windows also stores some other graphical assets in there. There is nothing wrong about applications reporting that your computer has two OpenCL interfaces because it actually does have two OpenCL interfaces. One is the OpenCL support of the built in GPU. This is done through graphical drivers. The other is the OpenCL support of the CPU. This is done through the CPU/APU drivers. As far as I know, some AMD based APUs running OpenCL through the CPU/APU interface should make use of the combined power of both the CPU and GPU. This is not supported on every APU. Not the answer you're looking for? Browse other questions tagged windows-7 memory gpu process-explorer or ask your own question. How do I find out how much of my RAM is being used by the GPU? Is there a way to see GPU System Memory broken down process-by-process? Why is my GPU not being fully utilized?